Rennovia, Inc. is a chemical development company focused on sustainable chemical manufacturing technologies and chemical products made from renewable feedstocks. After the success of our redesign of Rennovia, Inc.’s website, they asked us to design a print ad based on the new look. 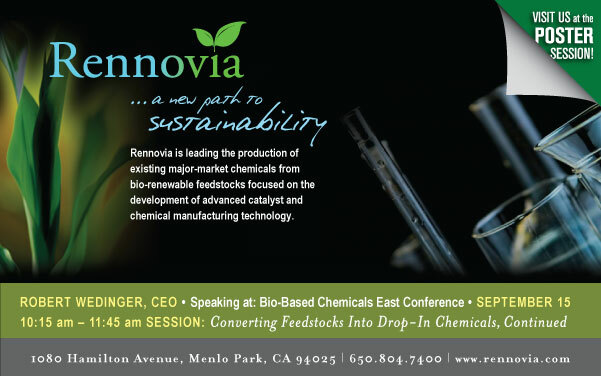 Rennovia was fairly new in the chemical manufacturing technology market and wanted to advertise their presence at the Bio-Based Chemicals East Conference. We were happy to do this so that the brand that we established would be carried out in other marketing pieces. An important path to take for a growing company!